When fall’s crisp chill is in the air, it can only mean one thing for hardcourt fans — basketball is here! 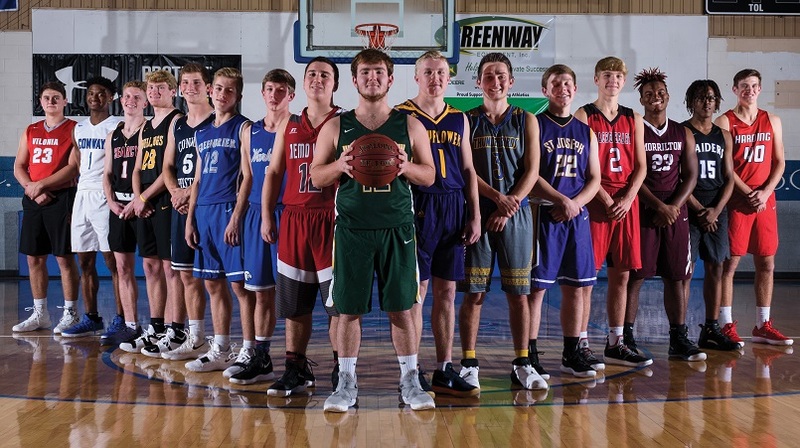 With the basketball season upon us, 501 LIFE presents the 2018-19 edition of its 501 Basketball Team. 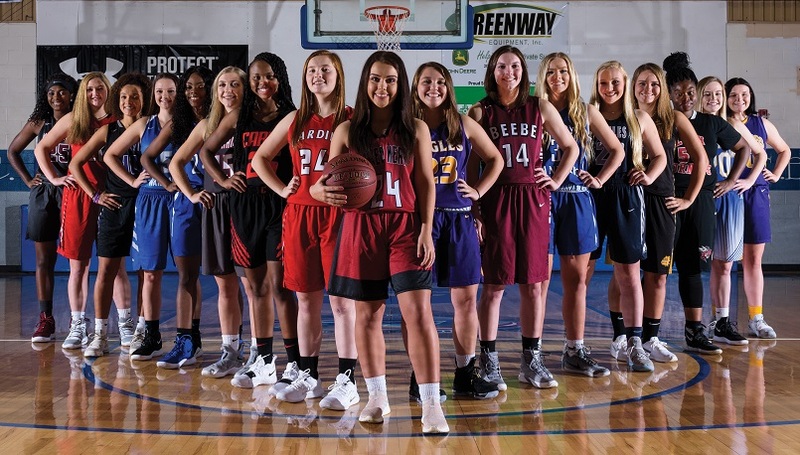 The team boasts 34 honorees, representing some of the best student-athletes the 501 has to offer — both on and off the court. The 501 Basketball Team is sponsored by Conway Orthopaedics and Sports Medicine Center, Conway Regional Health System and First Security Bank. Players are nominated by their coaches and selected by the 501 staff, and the nominations are weighted equally between on-the-court and off-the-court attributes. McClendon Andrews (Nemo Vista), Jack Briggler (St. Joseph), Quinton Brown (Riverview), Peyton Caldwell (Searcy), Jenna Chadek (Sacred Heart), Isaac Clemmons (Quitman), Abbie Corder (Faulkner County Falcons), Ben Drilling (Sacred Heart), Rachel Dumont (Guy-Perkins), Alaina Ellis (Mount Vernon-Enola), Bailey Francis (Mayflower), Terry Franklin (Morrilton), Alden Graves (Harding Academy), Blysse Harmon (Greenbrier), Nicki Hooten (Quitman), Brady Jerry (Greenbrier), Abbie Jiles (Riverview), Dejah Jimerson (Cabot), Trey Kelley (Vilonia), Paige Kelley (Vilonia), Caleb London (Conway), Alundra McMiller (Maumelle), Jacob Moix (Mount Vernon-Enola), Davis Morgan (Harding Academy), Piper Mullaney (St. Joseph), Jay Nance (Mayflower), Marianna Richey (Beebe), Morgan Smith (Nemo Vista), Asiyha Smith (Conway), Tamia Templeton (Morrilton), McKenna Vaught (Conway Christian), Hunter Williams (Guy-Perkins), Braydon Wilson (Wonderview) and Jacob Wood (Conway Christian).